The Superbowl is approaching! Who are you rooting for? Sadly, my team did not make the playoffs this year. It was a close game in the wild card between my Bears and Philly, but the Eagles took the game by 1 point. (Sad face) To help lift my spirits, I decided a round up of delicious game day recipes was in order! So if you’re not sure what you’re serving for your superbowl party yet, I’ve got you covered with 18 delicious superbowl recipes that are plant based and under 400 calories per serving. You know, so you don’t sabotage all your hard work you’ve been up to, to shed the holiday weight! Let’s start with dips! Here we go! 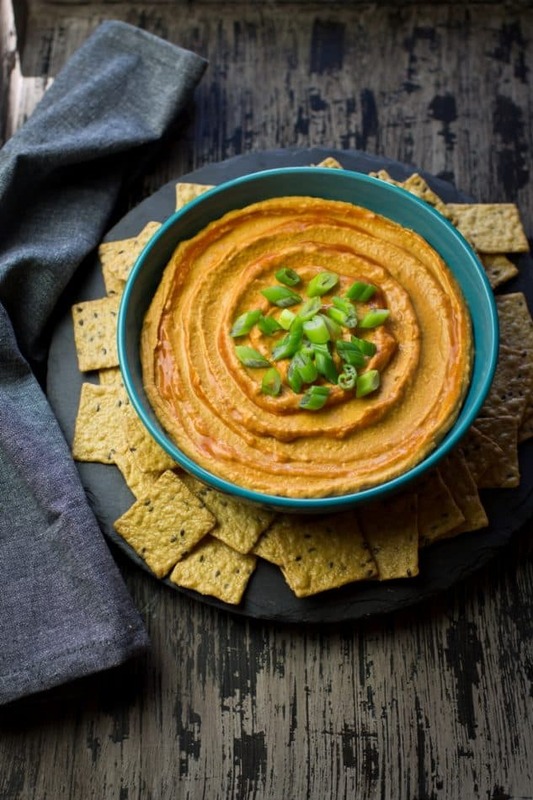 This oil free delicious dip is perfect for your Superbowl gathering. It’s spicy flavour and creamy texture will surely impress your guests. For a spicy cheesy dip, give this jalapeno queso a try. Made using wholesome ingredients to leave you feeling guilt free! For the easiest, most delicious guacamole, you MUST try this. It just doesn’t get better than your favourite Mexican dip, made in 3 minutes flat! A quick and easy hot spinach dip that is dairy free, and oh so good! The perfect party dip! There’s no guilt attached to devouring this amazing white bean dip. Loaded with dillicious flavour and healthy ingredients! 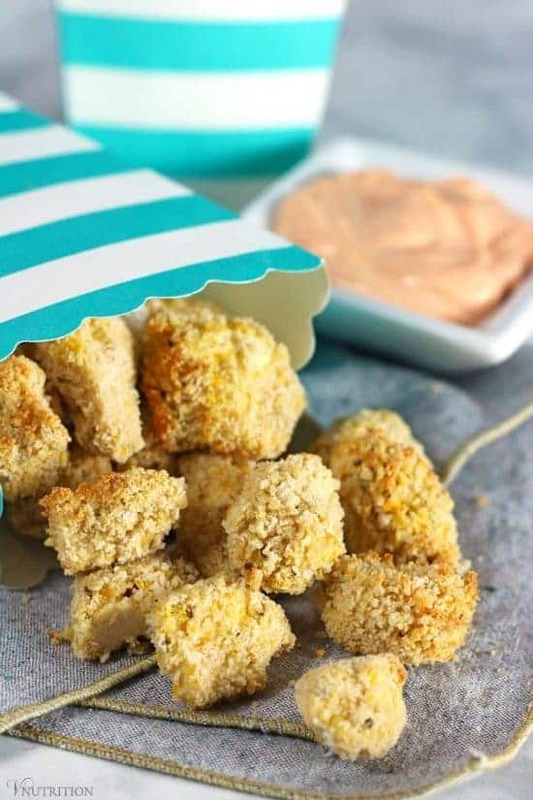 A fun snack for game day that is oil free, crispy, and tasty! 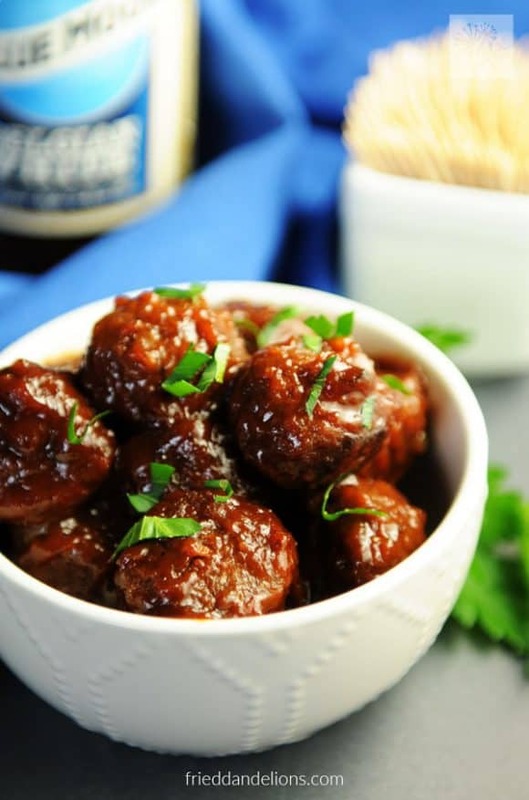 Superbowl recipes for the win! Spicy gluten free battered “wings” that are seasoned to perfection, and baked for a healthier option. No need to choose a side between sweet or salty. 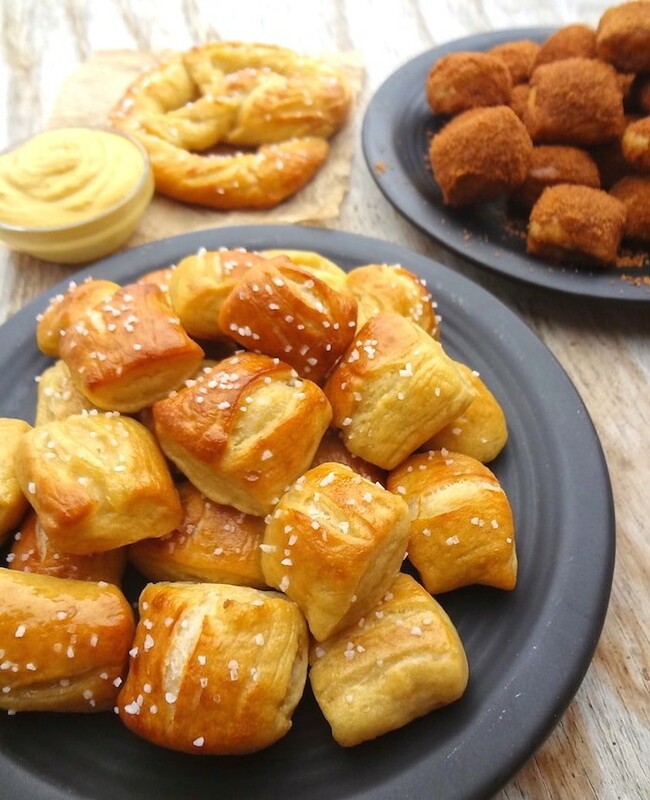 These delicious bites will satisfy both your savoury and sweet cravings. 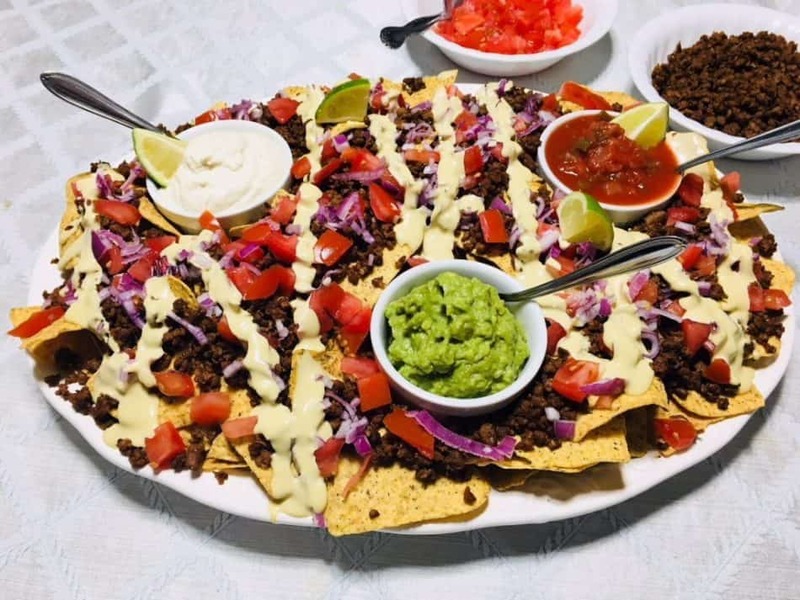 It’s not a party without a tray full of nachos! Serve with your favourite toppings and don’t forget the 3 Minute Guacamole! 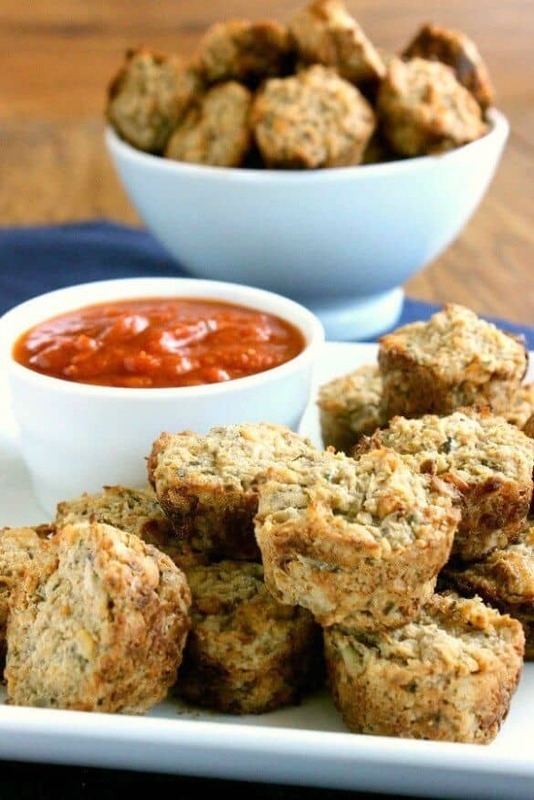 Mini muffin pizzas that taste great on their own or dunked in your favourite pizza dipping sauce! 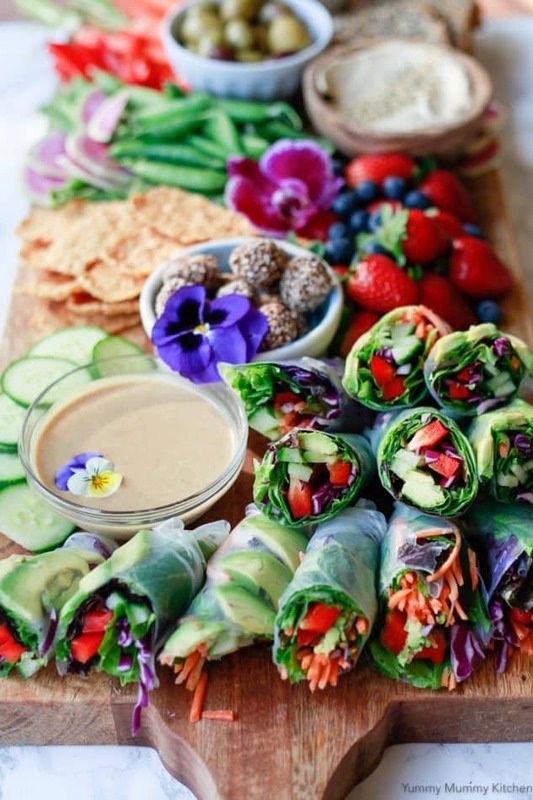 Fresh and delicious spring rolls with veggies and herbs, dipped in a Thai inspired peanut sauce. Yum! 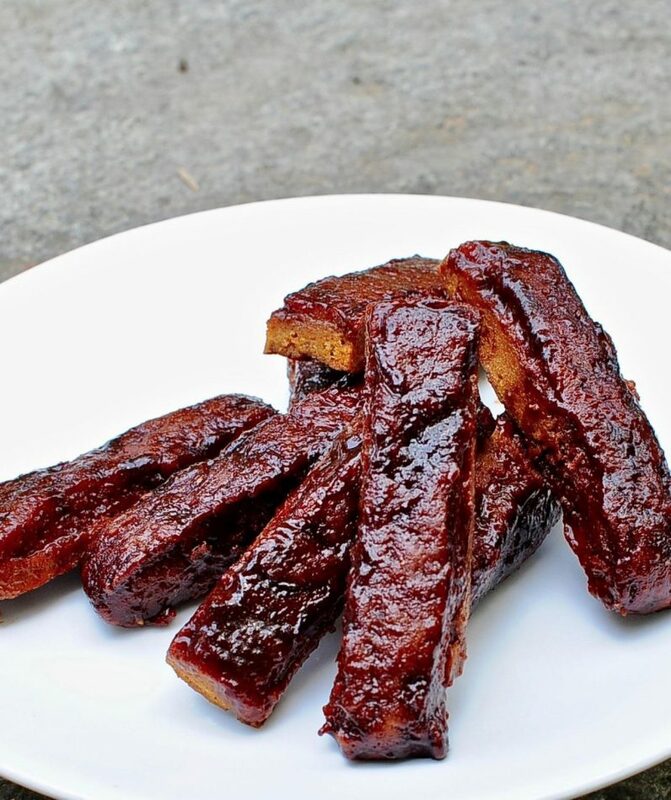 Sticky ribs that can be made in the oven, or on the grill, drenched in delicious BBQ sauce. It’s easy, it’s cheesy. The perfect balance of texture and flavour in this delicious mac and cheese sauce. A great addition to your superbowl recipes. 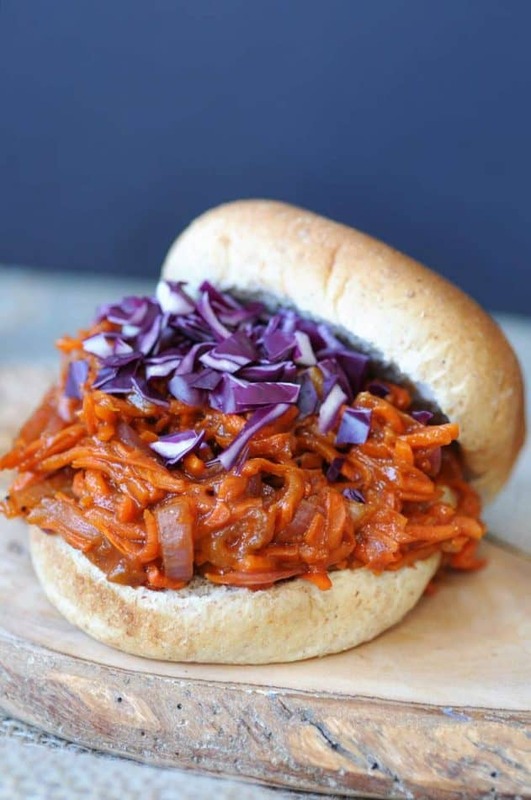 Shredded BBQ without the meat, but with all the delicious! Shredded carrots are smothered in a homemade BBQ sauce, a perfect superbowl recipe! 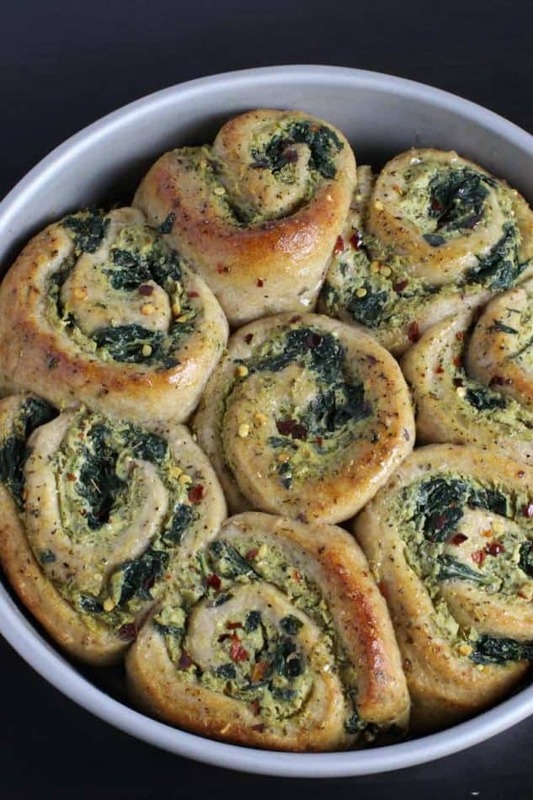 These delicious rolls will satisfy your garlicky, cheesy, pizza cravings! Perfect for game day, or movie night. 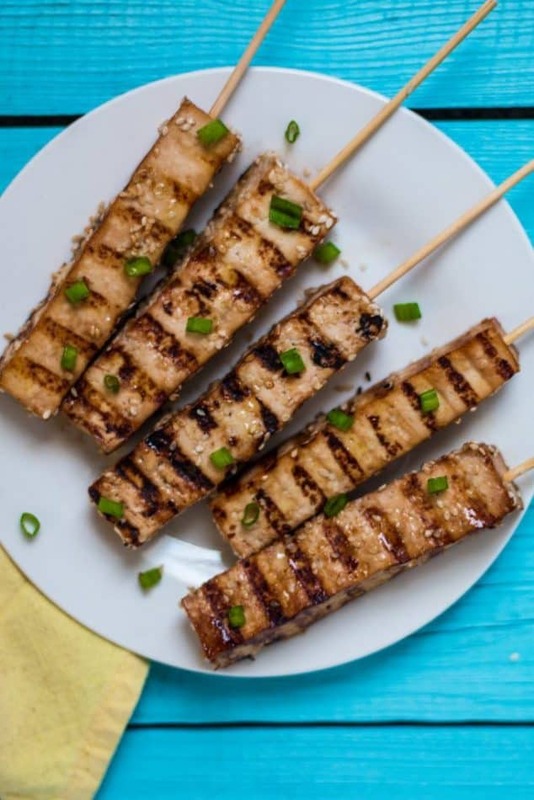 These delicious skewers are a great finger food that keeps your hands clean, and they’re simple to make! You seriously will NOT miss the meat in these smoky, slowly cooked baked beans smothered in to die for homemade BBQ sauce. So, are you ready for game day? I know I am. I’ll be making several of these recipes to enjoy while I sulk at the defeat of my Bears. 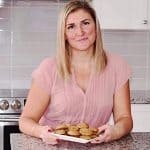 If you do make any of these superbowl recipes, I’d love to hear from you! Tell me what you think in the comments below! The nachos and pizza bites are my choices! I’m definitely going to squeeze some time in to make both of those haha thank you! So much yummy goodness here! For me, Super bowl is definitely all about the food – and the company!! Thanks for including my spinach artichoke dip too! Yummy Superbowl food is a must! 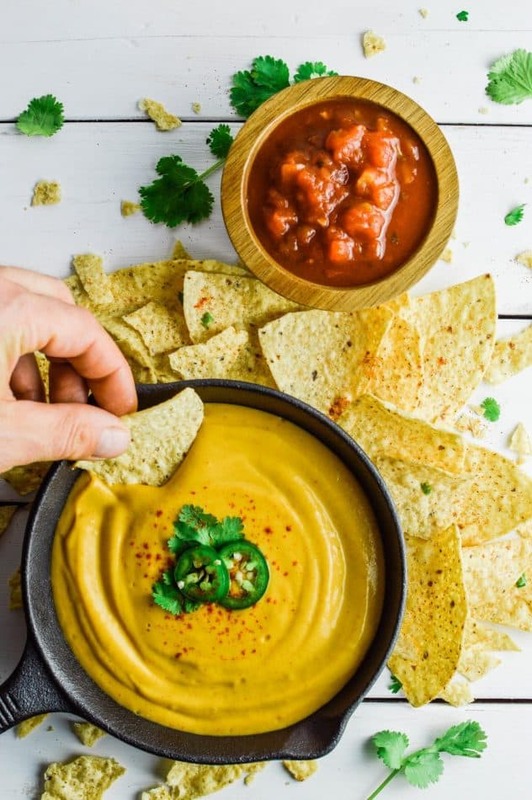 Thanks so much for your delicious dip recipe! It is known to my hubby and friends that I only last as long as the food lasts at Superbowl parties. After that I toddle off and snooze. This gorgeous round-up will last through the whole game. So inspiring! Thank you for including my Bbq ribs in such yummy company.